If you own a dog or cat, then you have most likely dealt with fleas before. You may not own any pets but fleas can still affect you. Fleas can carry several human pathogens as well as cause allergies in both humans and animals. They torment their hosts and can inflict some serious damage if they are not properly treated. For pet owners, you may already be frustrated with the flea infestation that your furry friends have brought into your home. Have you used a variety of products that did not effectively treat the problem? Do they contain conventional pesticides? You may not know this but impregnated flea collars are filled with conventional pesticides; insecticidal shampoos and powders contain ingredients that endanger your pets and other members of your family. Only about 5% of fleas are adult fleas, that means the other 95% of fleas are in the egg, larva, or pupa stages of their life cycle. So, the flea you might see jumping around or on your pet are only 5% of your problem, it’s the potential of the eggs hatching that will create more havoc. In order to properly treat the inside of your home, you’ll need a product that is effective in completely eliminating the life cycle of fleas. 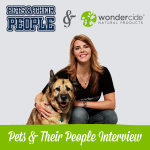 Wondercide’s Flea & Tick Pets + Home natural flea control is the product for you. Wondercide Flea & Tick Pets + Home is designed to be used in all areas inside your home to treat flea infestations. Depending on how severe of a flea infestation you find yourself in, Flea & Tick Pets + Home is safe to use on an everyday basis. There is no reason to waste your time and money on products that will not be effective in the long run. With Flea & Tick Pets + Home non-toxic natural flea control, you can treat all indoor areas to completely eliminate the life cycle of fleas. Adult fleas must feed on blood before they can reproduce. Once they find a host, they usually lay their eggs on the host itself. Once these eggs are laid they can easily fall off the host and onto the ground, furniture, bedding, etc. That’s why fleas usually accumulate where the host rests or sleeps. Although fleas prefer cat or dog hosts, they can still attach themselves to humans. So, even if you don’t have pets you can still have a flea infestation. Along with spraying or fogging Flea & Tick Pets + Home in your home, managing your outdoor environment is also a key factor to properly treating fleas. Thoroughly vacuuming all areas where you suspect that fleas may be living or reproducing is key. Cleaning and spraying upholstered furniture that pets spend a lot of time on is also important. If you have pet, pay extra attention to the areas they have access to. Fleas avoid sunlight, so they like to spend their time in dark places such as cracks and crevices. Remember, eggs are usually laid in areas where the host rest or sleeps. Keeping that in mind, be sure to spray bedding materials with Flea & Tick Pets + Home and wash with hot water frequently. It’s important to understand where fleas like to accumulate and how to effectively eliminate them. Natural flea control is not just about treating pets for fleas, you must act preemptively to eliminate their life cycles. 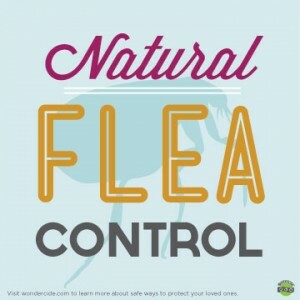 Fleas can be dangerous to humans and animals but Wondercide’s natural flea control will help solve your problem. 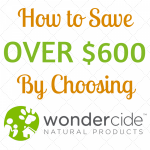 How to Save Over $600 by Choosing Wondercide! How does Wondercide kill the eggs? Hi, Jimmy! Thanks so much for your question. 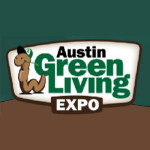 The way that the cedar oil in Wondercide kills all of the life cycle is that it encases either the egg, larvae, or pupae in the oil and prevents it from developing into the next stage of the life cycle. The best thing to do for pests is to vacuum before spraying Wondercide Indoor Pest Control or Flea & Tick Control for Pets + Home so that you can bring all of the life cycle closer to the surface and the spray can make contact with it. You can spray the carpet as often as needed. I hope this helps! How long should I leave the house shut up after treating with Wondercide? Thanks for your question, Bob! If you spray with Wondercide, you actually don’t have to leave the house at all. If you fog with a non-thermal ULV fogger, however, you will want to leave the house for 3-4 hours to let the fog settle before re-entering your home. Hope that helps! Hi, if I suspect an indoor flea infestation, you say it’s best to vacuum then apply wondercide. Do I need to reapply after every time I vacuum? Say, for example, if I vacuum once per week, should I reapply the wondercide after each time I vacuum? The instructions say to use quarterly for maintenance but do you recommend for infestations? Thanks for your help!! Thanks for your question, Garilynn. Vacuuming carpeted areas and rugs before treatment helps bring flea eggs and larvae up to the surface, which further ensures our product is able to eliminate these life stages. We do generally recommend vacuuming before you treat with Wondercide, but retreating every time you vaccume is not strictly necessary so long as you are very thorough with your initial home treatment!